the literary or artistic biographer. He has also published three autobiographical works—Basil Street Blues, Mosaic, and A Book of Secrets—and which are also meditations on biographical research and writing. In The Paris Review. Although he never attended university (his father wanted him to be a scientist) he expressed gratitude for this as he didn’t have to forget all this academic nonsense, as he told Eleanor Wachtel in an interview. Later, he received an honorary doctorate of letters at the London School of Economics and also holds honorary degrees from the universities of Ulster, Sheffield, Warwick, East Anglia and the London School of Economics. He is married to Dame Margaret Drabble. 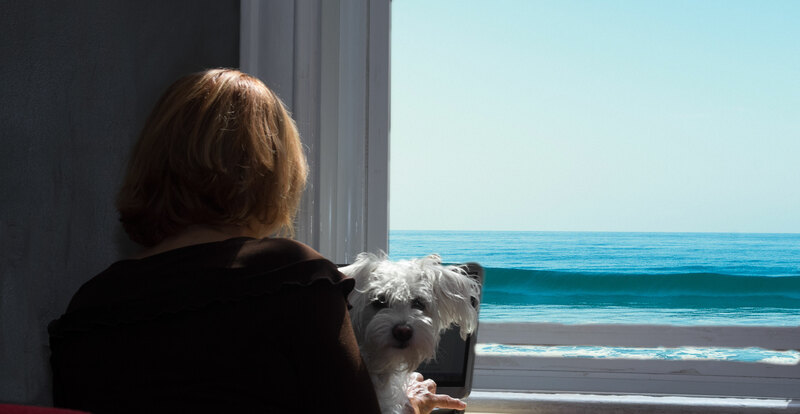 Although they’ve been married for over thirty years it took them thirteen years after their marriage to move in together, partly because, according to Drabble, two writers living in the same house need a lot of space. M.D. 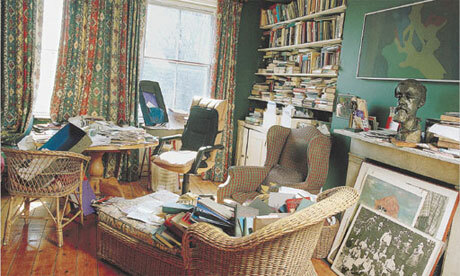 : His study is just chaos. M.D. : It’s not as bad as yours. Proof that opposites do attract. 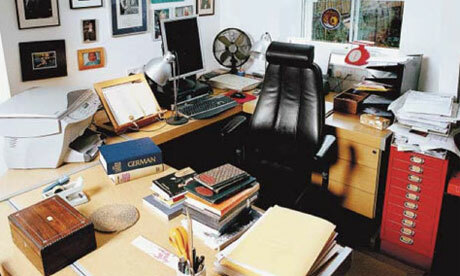 Click here for a look at Margaret Drabble’s desk.